Roasters, choosing the best packaging for your coffee is about a lot more than just an attractive design – although that’s important too. Your packaging is what keeps your coffee fresh for longer, meaning it has a direct impact on the taste of those beans you’re selling. It’s also what you have to work with every single day. And it’s what your customer will picture when they hear your name. Packaging is a very important part of a product which is why custom printed packaging has become so popular for manufacturers all over the world. So that means you really want to get it right. Of course, there isn’t one right type of packaging – it all depends on things such as the scale of your business, your filling processes, and what you customers are like. I’m going to tell you the six critical things you need to consider when selecting your consumer packaging. If you take these into account, you’re sure to choose the best packaging for your business. A common and convenient type of packaging, the doypack is a bit round at the bottom, almost like a can, and flat at the top. A preformed foot allows it to stand up nicely, regardless the filling weight, and also makes the product stand out on any shelf. It also typically has a zipper for reclosing it. All these features give the consumer the impression that what they buy is worth their money. A more traditional style of packaging, the side fold bag is cost-efficient and easy to use, meaning most retail packaging in larger weights is of this variety. The straight lines give it a characteristic minimalistic look, and the bag won’t stand up well but will have a solid feel when you hold it. It’s typically closed by rolling up or folded over the top and then using a label or tin tie after sealing; an integrated zipper is not an option here. The quadro seal bag is of a similar style to the side fold bag. The main difference is that, as the name indicates all four corners are sealed. This gives the packaging more of a square look, and makes it possible to integrate a zipper. The latest packaging model available, the box pouch bears resemblance to the quadro seal bag but has a flat bottom. The name says it all: its square style makes it look almost like a box. This gives it perfect stand-up properties and great marketing possibilities. It also allows you a lot of of possibilities in terms of zipper, sizes, and designs. In the US, where this type of bag is common, it’s usually rolled up to create a tight brick-shaped package, while in Europe it’s commonly sold with a reclosable zipper. 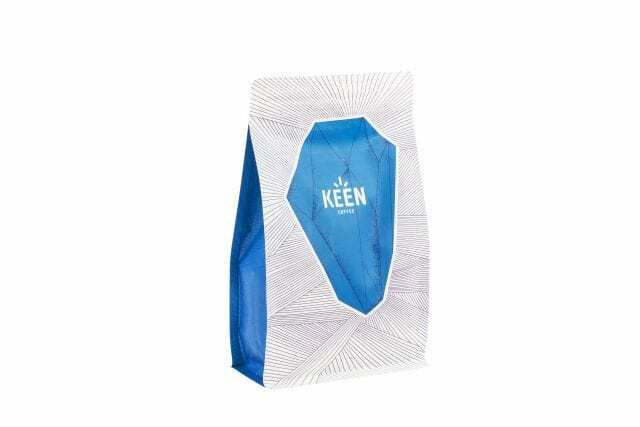 KEEN Coffee use the newest style of packaging: the box pouch, or flat bottom, bag. All of these models are widely available in small quantities as well as large, making them accessible choices for startups and micro roasters. It’s vital that your beans stay fresh, which means that your packaging needs to be airtight. 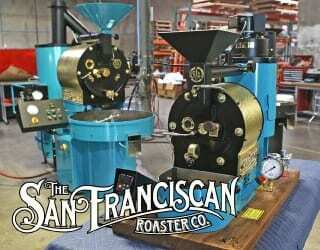 You can recognize this by the presence of a degassing valve, which lets CO2 out of the bag after the beans are roasted. However, it will only work if you seal the bags with a heat sealer, so make sure you purchase a good one. Your packaging will also need a barrier. Coffee is very sensitive to external influences, and this will keep out oxygen, UV, and other factors that might affect your beans’ profile. 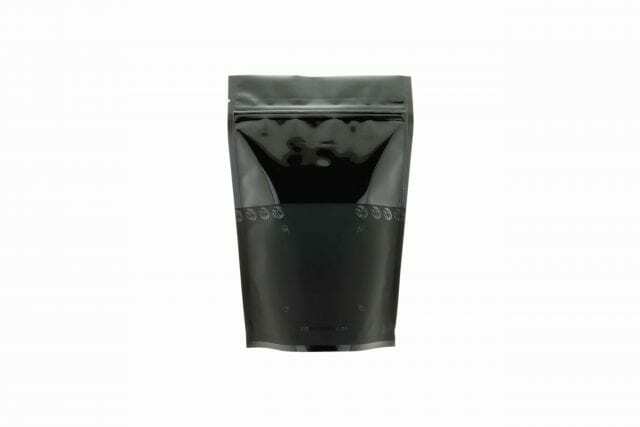 Nowadays, most stand-up coffee pouches come with a metalized or pure aluminum barrier as a 3-ply laminate. The downside is that creating these aluminum barriers isn’t great for the planet. Another option is a 2-ply laminate with a high-barrier polyester, which will keep your beans just a fresh as a metalized film would do but has the advantage of being made from 100% plastic – including the valve and the zipper. As of such, in most Northern European countries these bags can be recycled. To keep UV out of the package as much as possible, you can also consider a black or white-based polyester or dense artwork printing. 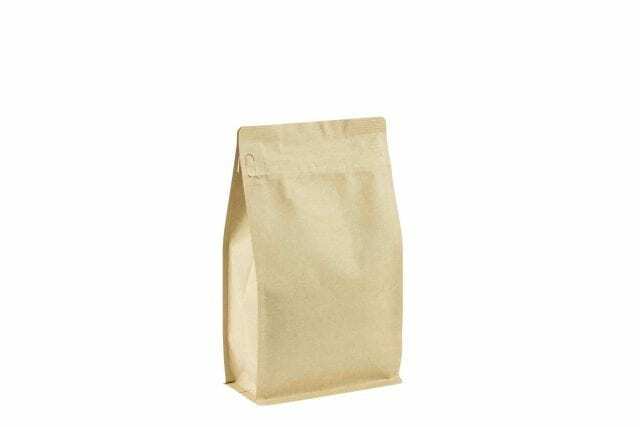 However, for specialty coffee, which is typically consumed within six months, it’s usually not a problem if the bag is a little see-through so long as it’s kept out of direct sunlight or in a carton box or tin. As a note, the paper block bottom bags you used to see years ago may look authentic and traditional but aren’t the best way to pack your beans unless you’re planning to use them within several days after roasting. 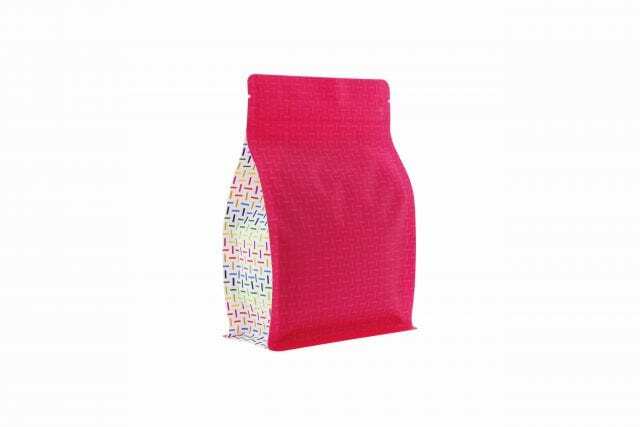 A modern airtight variant of the block bottom bag would be the box pouch or the side fold bag. 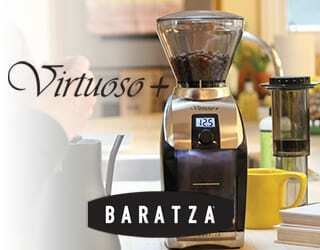 How do you fill your coffee bags? 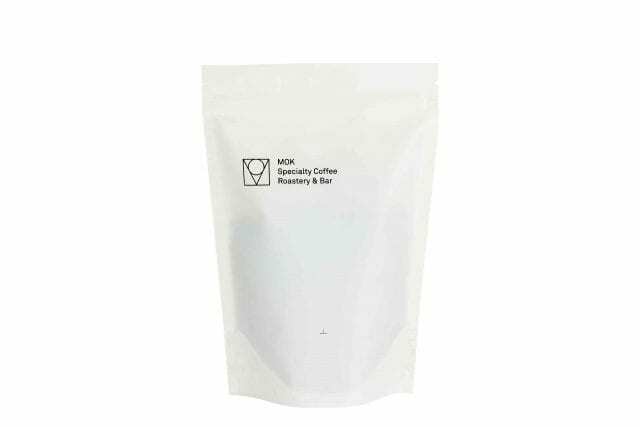 Many startups and micro-roasters opt to manually or semi-automatically pack them, meaning that bag design can really speed up – or slow down – the process. If your bag comes with a zipper to reclose it, chances are the bag has two corners on the top, like with a doypack. If your bag doesn’t come with a zipper, it’s more likely the bag has four corners on the top, like with a side fold bag. And filling that is what’s called an “open mouth execution” – as you can imagine, the opening of a side fold bag is larger and therefore easier to fill manually or semi-automatically. Should you decide you want a doypack, but you happen to manually fill your bags, make sure the opening is wide enough to fit your scoop or weigher funnel in. 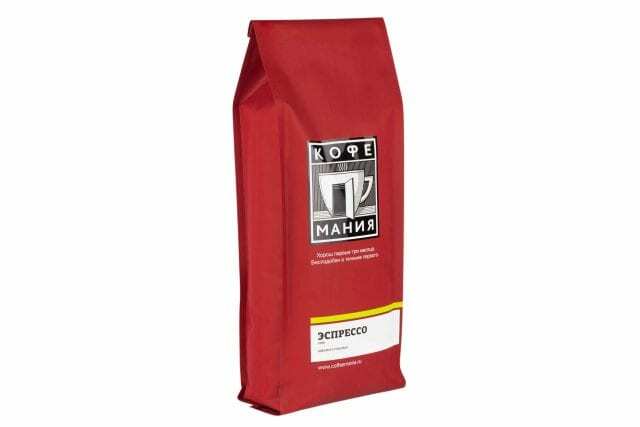 You’ll also want to check that the bag itself opens up easily, either as a result of you inserting your hand or the weight of the beans. As for the box pouch and quadro seal bags, they could come with a two-cornered top side and a “regular” zipper, or with a four-cornered top side and a “pocket” zipper. This is a tear stroke which opens up the zipper on the front or back panel of the bag to create a pocket. Make sure to check before you commit. Alternatively, if you do use – or are considering purchasing – a packaging machine for automatic filling, make sure you know what type of packaging the machine can handle. Fortunately, most machines available nowadays can handle both types. Consumers who use the beans straight from the package will love a reclosing feature like a zipper. 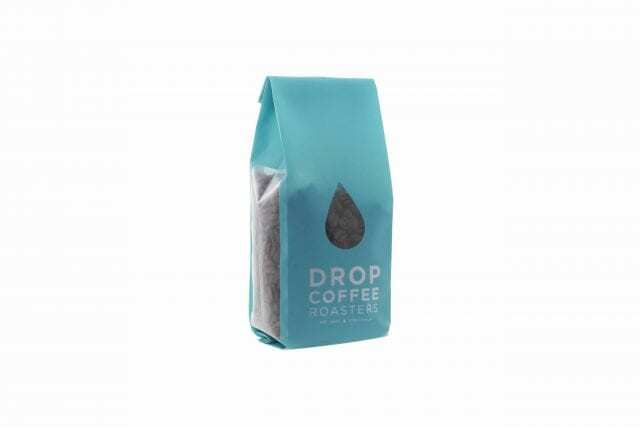 Although the packaging loses its airtight qualities as soon as it’s been opened, the ability to reclose the bag will make a definite – and, some would argue, crucial – difference to the freshness of the beans. You can let your customers know that it’s best to push all the air out of the bag before closing it, leaving a minimal amount of oxygen inside. 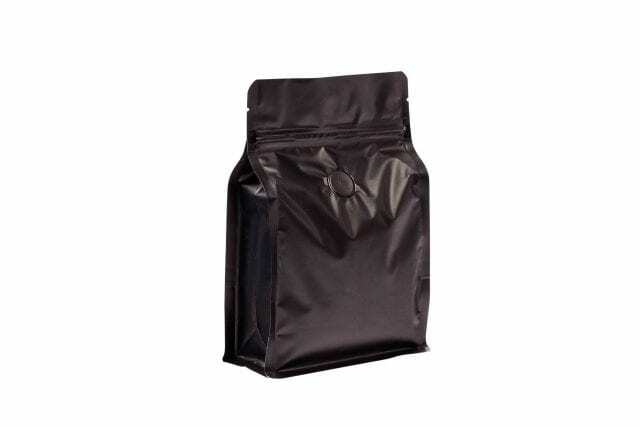 When selecting a zipper pouch, be aware that the package also needs to be consumer-friendly: users will need to be able to get all the coffee out, and back in, down to the last bean. Every company needs to distinguish itself from its competitors – and one of the easiest ways to do that is through your packaging. There are so many ways to create unique bags that will draw attention. Attractive artwork is one way to establish your style. Another is to use different varnishes, metallic or neon colors, an integrated zipper and valve, shaped pouches, and even distinctive measurements. You could also focus on consumer friendliness, for instance by using laser perforation to make opening the bag easier. Be creative, because the possibilities are endless. 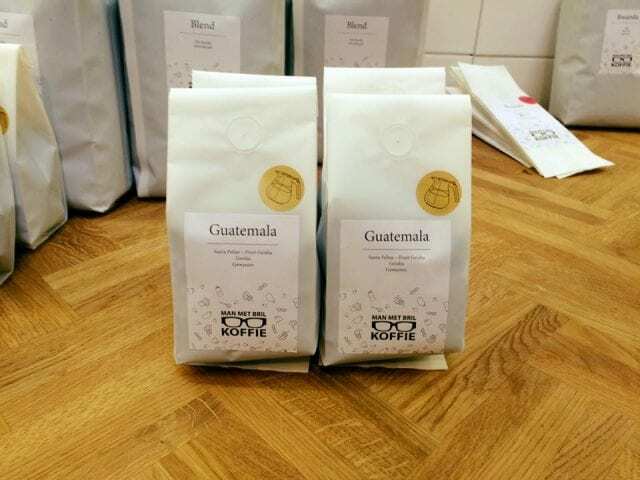 The specialty coffee industry loves its labels, and rightly so. Since you might deal with different origins and lots throughout the season, you need a good label to communicate the origin(s), processing method, roast date, and more of your beans. Don’t rush this design; such a crucial element deserves your time. For stock pouches, you might want to use a larger, more complex label with a pre-printed logo and company details. 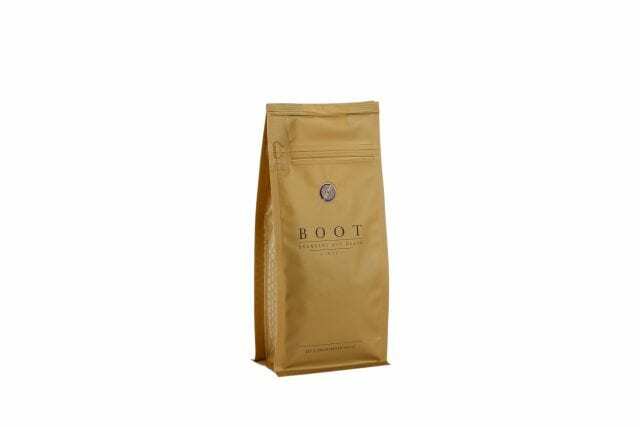 But with a customized bag, you’re by-and-large better off with a smaller, cleaner label that communicates details about the coffee; the brand’s identity will be better demonstrated by the packaging design. Try to match the material of your label with the bag itself. A matt plastic or paper label blends in nicely with a matt surface. Shiny labels, on the other hand, go better with shiny bags. A matt transparent plastic label blends suits a kraft paper bag best, showing the paper texture through the label. And don’t forget to figure out if you want to draw attention to the label, in case you can use a stock pouch, or to the pouch itself if it concerns a customized bag. Printing your own labels is cheaper and gives you more flexibility than purchasing ready-to-apply labels. Buy a good label printer and create a template in your own style, which you can then easily change the details of. Decide if you want to use colors on your labels or if you’re fine with only black. If you opt for color, try to get the the logos and artworks pre-printed by your supplier, since color cartridges for label printers are quite expensive. 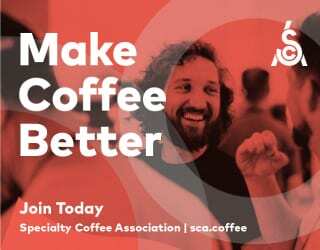 Having said that, colors and different font styles will have a bigger impact on customers than plain text will – especially if the customer doesn’t know a great deal about coffee. 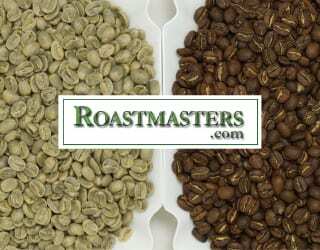 You can also use these different colors and styles to distinguish your espresso roasts from your filters, or your blends from your single origins. But be careful to keep it consistent and intuitive: if the message your coffee bag communicates is unclear, a consumer might just grab the next one on the shelf instead. 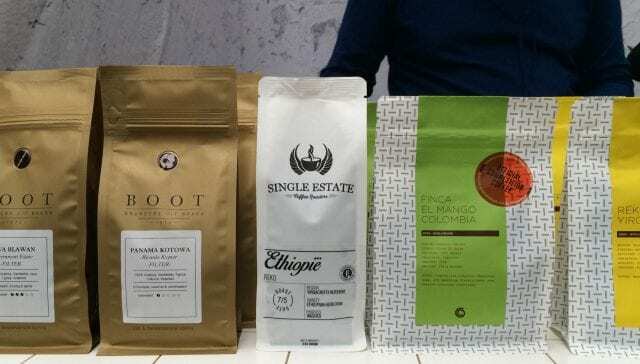 Choosing your packaging might seem like a minor part of a roaster’s job, but it will have a significant impact on your marketability, your sales, and your coffee freshness. Taking these six points into consideration will leave you confident that you’re making the right choices. Written by A. Bek of Dutch Coffee Pack of and edited by T. Newton.